At a culinary competition, things do not always turn out as planned. 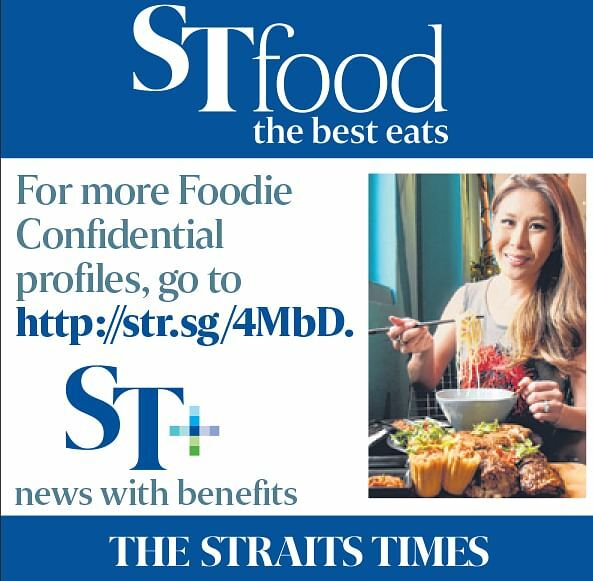 This is something that chef Noel Ng, chef de cuisine of research and development at Swissotel The Stamford and Fairmont Singapore, knows only too well. The 36-year-old has had his fair share of hiccups on the competition front. Over the years, he has had to improvise, change cooking techniques, tweak recipes and think on the fly at the eleventh hour. At one competition in Hong Kong in 2013, for example, he had to come up with an alternative way to cook scallop mousse because his station was not equipped with a combi-oven, even though he had been told otherwise. So, instead of steaming the mousse in the oven, he decided to wrap the emulsion in cling film and cook it gently by repeatedly scalding it with hot water. It worked. Last month, the graduate of hospitality school Shatec beat five other local chefs to be crowned the champion of Bocuse d'Or Singapore, the Singapore chapter of the Bocuse d'Or culinary competition held in Lyon, France, biennially. Chef Ng will compete in the regional qualifiers in Guangzhou, China, next year. The top five chefs then qualify for a place in the finals in Lyon. The international competition, which began in 1987, is named after its famed three-Michelin-starred French chef-founder Paul Bocuse. Each country can field only one competitor. It is viewed as the most prestigious competition for chefs. My mother's Chinese New Year Hakka meat dumplings. They are sticky and savoury and I look forward to eating them every year. It is also the only dish that we make together as a family. Earlier this year, a friend had tagged chef Ng in a Facebook post about the search for Singapore's next Bocuse d'Or representative. He decided to give it a shot. The father of two girls, aged seven and two, says he heard about the competition during his hospitality school days and had always dreamt of taking part. His wife, 35, works in sales for an international tyre brand. He says: "I didn't think I was ready for something like this. "But I guess, at the end of the day, it's not about whether you think you are ready, but about having the courage to try." Citrus fruit, everything from Amalfi lemons to yuzu to kaffir limes. I like to use citrus because it gives dishes freshness and acidity. For example, lemon helps to extract celeriac's full-bodied flavours. It also lightens the intensity of the root, giving it an added freshness. When creating new dishes, where do you draw inspiration from? Inspiration is all around us. Everything has the ability to inspire. There are no boundaries. Even fashion can have an effect on how a dish is plated or how it is presented. In this day and age, the aesthetics of a dish are just as important as flavours and textures because diners also need to be fed visually. Have you any advice for aspiring young chefs? Get the basics down pat so that when you enter a fast-paced professional kitchen, you can focus on acquiring new skills. If you do not know the basics, like how to make simple sauces such as bechamel and Hollandaise or the difference between searing and roasting, you will have a hard time catching up. Basic hygiene is also very important in the kitchen. There are two books that I still refer to today. I bought Auguste Escoffier's Le Guide Culinaire in 2003. The book was published in French in 1903 and has since been translated into English. It is a treasure trove of recipes and teaches you all the basics from sauces and soups to main courses and garnishes. I use it as a reference, an encyclopaedia of sorts. The other book that I use is The Chef's Companion: A Culinary Dictionary (2003), by Elizabeth Riely. I read it every day for six years, from 2003 to 2009, mostly on the MRT train while commuting to work. It is an A-to-Z dictionary of culinary terms, ingredients and techniques, and I wanted to learn and familiarise myself with all things culinary. Do you have a favourite supper haunt? I usually go to Chong Pang Nasi Lemak in Sembawang Road for supper about once a month because it is near my home in Woodlands. Whenever I dine there, my mustorder items are chicken wings and mei ren yu or crispy fried fish in chilli sauce. I also make sure I ask for extra sambal. It depends on my mood. I usually go for savoury food, but when I am very stressed, I eat things such as gummy bears and agar agar. When I am happy, I indulge in junk food like potato chips. What is always in your fridge at home? Eggs, as well as yogurt and cheese for my children. My wife and I like our eggs soft-boiled, coffee shop-style, while my younger daughter prefers hers scrambled. My older daughter does not like eggs and the only way to get her to eat them is to make her pasta carbonara. You are a trained chef. But what dish of your wife's has left a lasting impression on you? My wife does not cook often, but about six months ago, out of the blue, she made a delicious Cantonese-style roast pork belly. She followed her sister's recipe and picked up some tips from YouTube. She did not ask me for help. The skin was crisp and had just the right amount of salt. The meat was juicy and tender. I was very quiet while eating it and she knows that when I am quiet, I like it. Who is a better cook, your mother or your father? That is a tough question. They both have different strengths. My mother is a housewife and she can cook most savoury Chinesestyle dishes. She still cooks for our entire family - my three older siblings and their families - every Saturday night. She makes the best bak kut teh. My father, who runs a wholesale kueh company called Ng Brothers Chinese Cakes, is better at desserts such as Teochew orh nee (yam paste) and muah chee (traditional kueh rolled in ground peanuts).